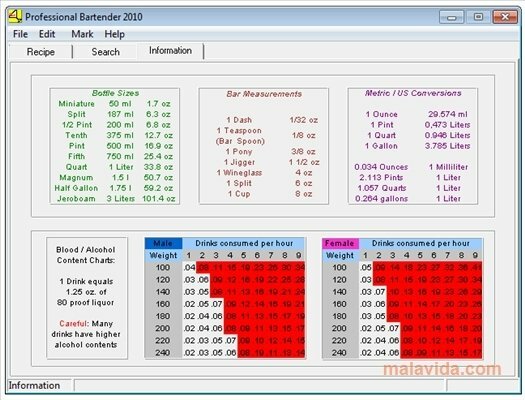 Professional Bartender is a program that will provide you with a full recipe book of all different kinds of cocktails, in such a way that you will be able to surprise your friends and family in each party, by showing them all sorts of different alcoholic beverage combinations. 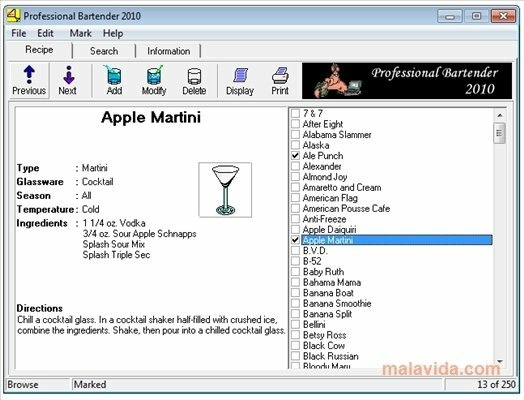 The interface is similar to that of many recipe software applications that are available on the market, with the only difference that it is only focused on the creation of cocktails and, due to that, it has a set of menus and ordering systems that are different. - Library with the best known cocktails in the world. - Search system that can search by kinds of drinks, temperature, time of the year or kind of glass. - Option to add and modify recipes. - Images of the kind of glass necessary to serve each cocktail. 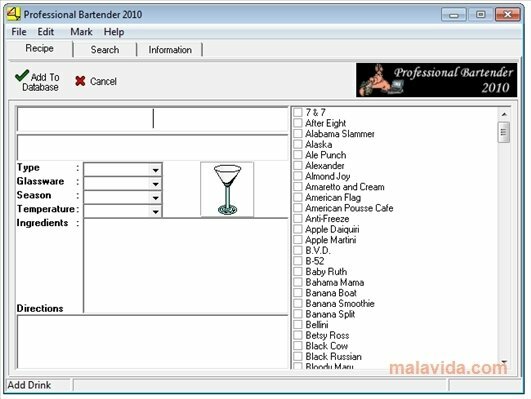 If you were looking for a program with which you can manage and order all the cocktails that exist, that is easy to use and has the added bonus of having a good search system, download Professional Bartender right now. The shareware version only includes 250 recipes.